Introducing the new and improved Tru-Form Pro by Adesso. The original Tru-From sets the standard for ergonomic computing. It features a contoured, split key design for ergonomic comfort with a Built in Touchpad. The innovative touchpad includes a Left and Right mouse buttons and built in wrist support. The integrated touchpad eliminates the need for a mouse, which also saves valuable desk space. 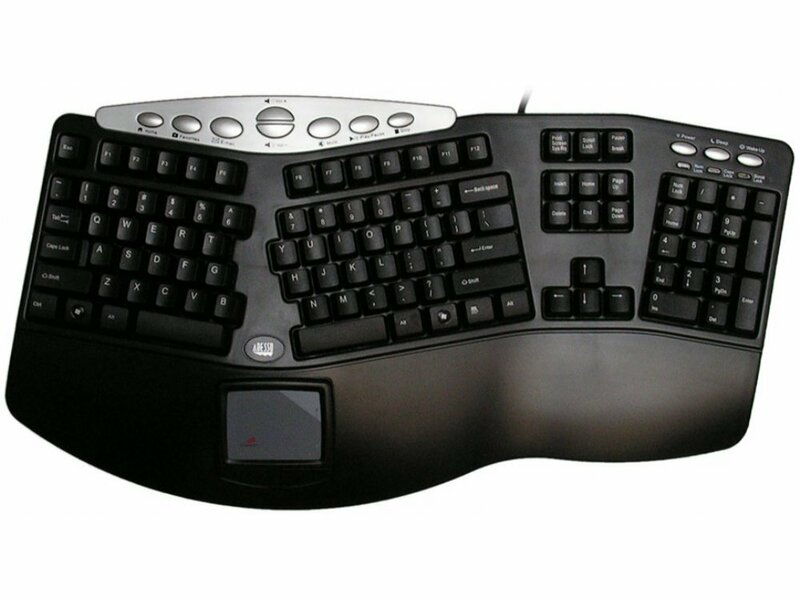 The Adesso Tru-Form' Pro also offers multimedia keys that make this keyboard a comfortable, multi-featured keyboard that combines a host of Windows and multimedia shortcuts and controls in a comfortable, stylish, ergonomic design. Please note this keyboard is only available in a USA layout.